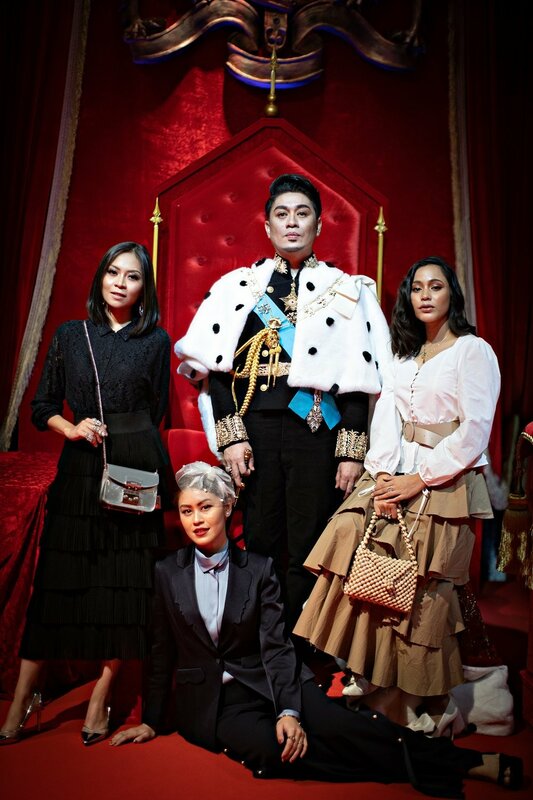 Once again the fashion world continues to buzz about Rizalman for ZALORA 2019 Raya collection. This year, Rizalman Ibrahim came up with a new inspiration for his Raya collection taking the English Monarch fashion sense and consolidating it into a mesmerizing traditional wear design. Not like the other normal fashion shows, The Royal Rizalman Fashion Show could also be said to be beyond majestic as the DYMM Raja Permaisuri Agong XVI and the Tengku Ampuan of Pahang, Tunku Hajah Azizah Aminah Maimunah Iskandariah binti Almarhum AlMutawakkil Alallah Sultan Iskandar Al-Haj was also attending to witness this glorious fashion show held yesterday at Chin Woo Stadium. 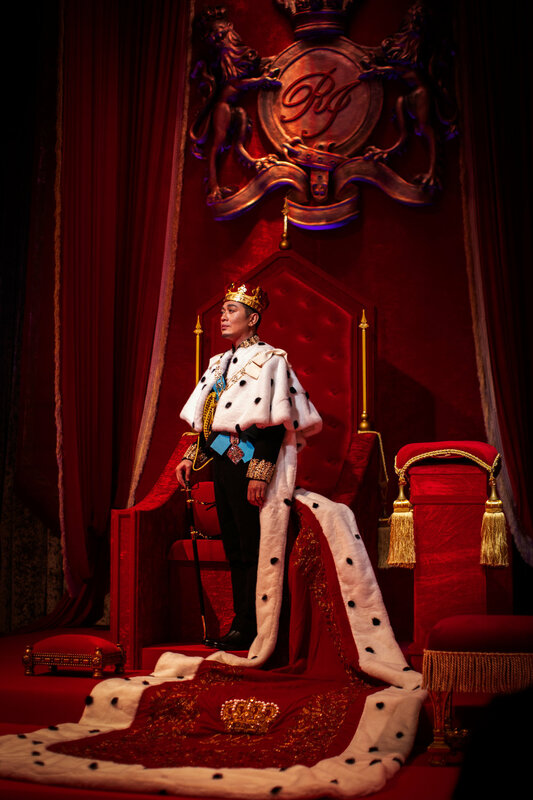 The designer himself, Rizalman Ibrahim also made a remarkable entrance with the wonderful monarch costume just like King Edward VII, King of the United Kingdom of Great Britain. To make it more magnificent, the whole fashion show was actually based on the Royal Coronation occasion concept which Rizalman Ibrahim as the King of The Day investiture the models during the runway. Thus, the place was decorated glamorously royal as if it is a palace of the English Monarch. 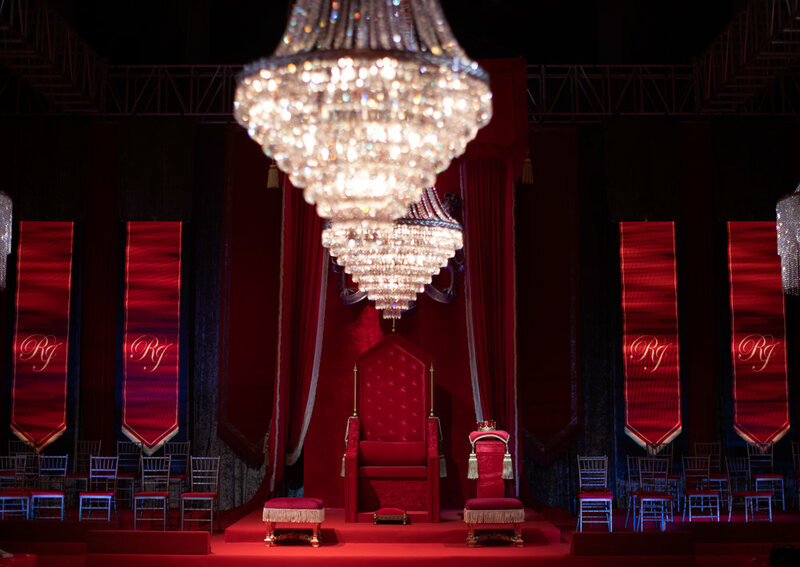 With the shimmering chandeliers hanging on top of the middle of the runway stroked by the bright spotlights and the silver-red velvet carpet covering all the floors and walls, it gave the audiences a feeling of sitting inside a room of spectacular opulence in a castle just like the royal residences. Among the famous celebrities spotted during the show were Ziana Zain, Izara Aishah, Neelofa, Hael Husaini, Dayang Nurfaizah, Awal Ashaari, Scha Alyahya, Marsha Milan, Azira Shafinaz and many more have brought such exclusive vibes on the fashion show. As the models started to walk down the runway, the audiences were served with the elegant designs from Rizalman for ZALORA which present the infusion of English Monarch into the traditional Malay clothes like baju kurung as well as baju melayu. Using very high-quality fabric, he wrapped and draped, furled and unfurled it into shapes and designs that gestured towards luxurious Victorian wears. Rizalman for ZALORA Raya 2019 Collection plays with jewel tones such as ruby red, emerald green and sapphire blue for the baju kurung range which is enhanced by delicate floral and refined chiffon fabric that definitely caught everyone’s attention. While the men's design in Rizalman for ZALORA had the perfect touch of English which makes the baju melayu look royally modern and classy. 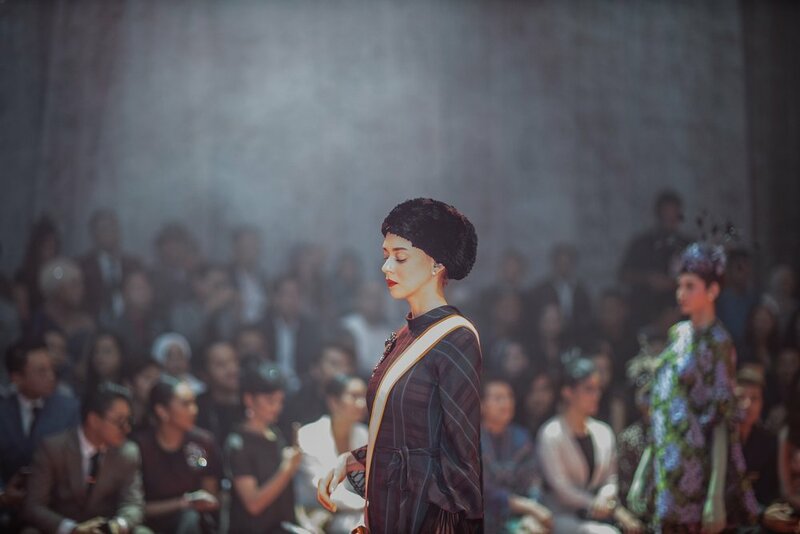 Overall, The Royal Rizalman Fashion Show with its Rizalman for ZALORA Raya Collection have undoubtedly won the heart of the half a thousand audiences. Indeed grand is an understatement. The Rizalman for ZALORA collection is made available exclusively now on ZALORAs website.